Today I will be comparing two products from rival Chinese companies. This is a showdown between the Meizu M3 Note and the Xiaomi Redmi Note 4. These review devices were provided to us by our friends at pickaboo.com so if you want to buy these for yourself, go check out their website. They are currently discounting a good number of products and you can grab a good deal if you act quickly. Check out our YouTube video for a closer look. To pick a winner, I will be taking a look at the design, camera, software, performance, display and value. Both these phones have a wonderful metal build and feel sturdy. The Meizu looks a lot like the generic iPhone and is actually quite similar to the Redmi Note 3 we reviewed last year. The Note 4 definitely looks more attractive and I love the chamfered edges. Both have fingerprint scanners but the Note 4’s is faster because it is always on. The M3 Note requires you to press down the home button first which adds a bit of time to the whole process. The software skins on these devices are very different from stock Android. Fortunately both of these skins are buttery smooth and I never felt the need for a different launcher. They both have ample unique features and theming options. The Note 4 is rocking Android 6.0 Marshmallow but the M3 Note is still stuck on 5.1 Lollipop. It is disappointing to see Lollipop here especially because Android Nougat is out. Moreover, Xiaomi has a strong fan following and developer community so custom ROMs are in no short supply. I thought the camera would be an easy one but I was quite wrong. These devices take good looking photos in broad daylight but the Note 4 does a better job than the M3 Note. In lowlight, neither phone puts up a strong case. The differentiator here is manual mode. Xiaomi only allows you to adjust ISO and whitebalance whereas the M3 Note can also adjust focal length, shutter speed, saturation, exposure and contrast. I took these phones with me on a short vacation and had much more fun using the manual controls on the Meizu. I also got better nighttime shots using the manual controls. Furthermore, it is not possible to utilize a third party manual camera application. Both smartphones have a 1080p 5.5 inch display. 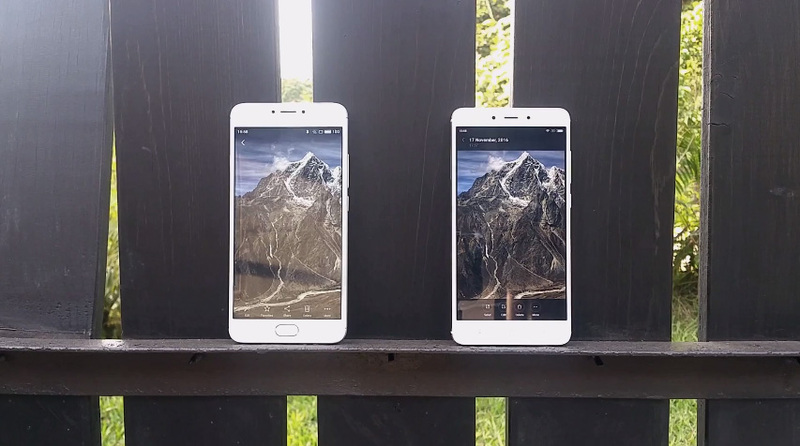 The Note 4’s screen looks more vibrant and so it appears more appealing than the M3 Note’s cooler colors. Viewing angles are on par and the same can be said for brightness levels. Neither gets too bright but are decent for outdoor use. They are both good display’s but Xiaomi takes this one in my opinion. The value is the last factor I will consider. The Redmi Note 4 costs 15,500 Taka and the M3 Note costs 11,999 Taka. For 3,500 Taka extra you get more power, more RAM and more storage. I would personally side with the Redmi Note 4 in this comparison as these bonuses truly make the user experience better. The M3 Note is no slouch and is a fantastic phone for the price. It can do most of the things you need and looks good in the process. The ultimate choice is really up to you as both these devices are great and your budget would dictate your selection. Stay tuned as I will be dropping the Redmi Note 4 review within the next few days so subscribe to our YouTube channel if you want to watch that when it’s out. Dhaka, Get Ready For Uber! Hello Alavi Sir, Thank you for your great compare. I am from bangladesh and want to buy xiaomi redmi 3s prime. Can you tell me is there any authorized official xiaomi showroom in bangladesh.